Trillian's instant messaging software runs on Windows, Mac, and Linux desktops, iOS and Android devices, and in the web browser. Trillian stays running continuously in the background so that you'll never miss a message! 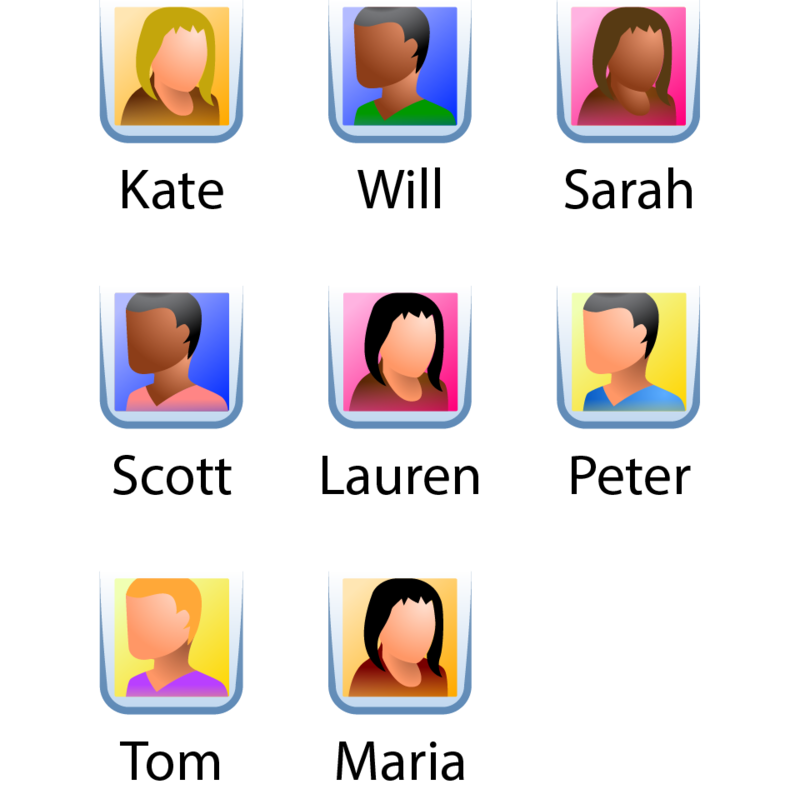 The first person to sign your company up for Trillian becomes the administrator and is able to invite other users to join. Each user will also install Trillian and sign into company-controlled accounts. As users sign in, they will automatically see the rest of the company in their contact list and can start chatting! Trillian keeps your employees off the phone. Whether you're staffing a call center or simply relaying information between departments, nothing beats instant messaging for quick information exchange. Not having to put calls on hold to ask questions of co-workers results in shorter call times, faster decision making, and happier customers. Being able to communicate with co-workers via Trillian while on the phone with a customer has given us the ability to provide truly seamless customer interaction. Trillian is a living company directory. Trillian's rich support for presence means you can easily share your status with your co-workers throughout the day. On the phone? In a meeting? Out to lunch? Stop sending subject-line-only emails to announce your movements at work and simply change your Trillian status to instantly let everyone know what you're up to. Trillian boasts powerful administrative control and works great in regulated environments. From centralized chat history with administrative audit rights to policy control over specific features, Trillian keeps you in control without compromising on utility. Play around with the mock interface below to see some of the controls available to administrators. 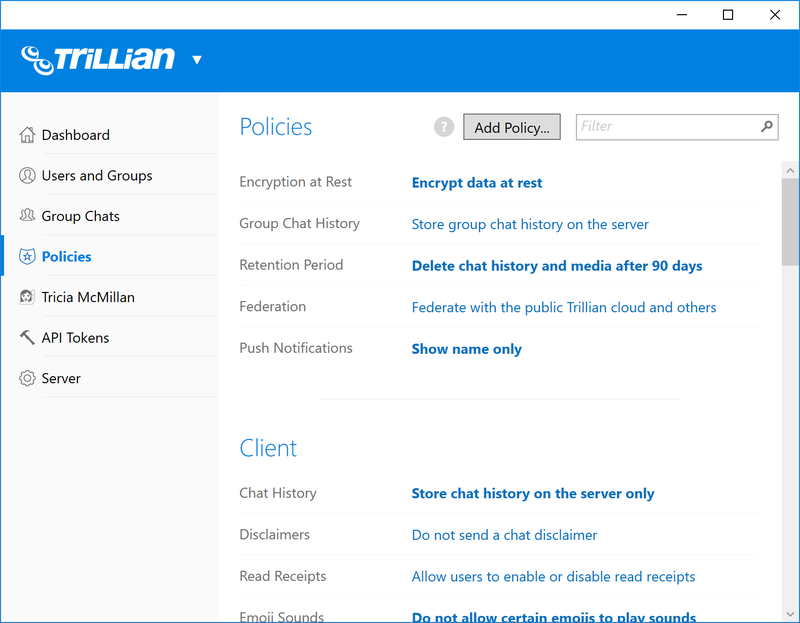 Use the scrollbar to learn about all of the different policies Trillian Server has available.